Cumin is an aromatic spice with many health benefits that is used in Indian, Mexican, and Middle Eastern cooking. Cumin seeds are usually ground into a powder and added to dishes or taken as a supplement. Cumin supplements are full of antioxidants and can help to lose weight, control diabetes, improve your digestion, and boost your immune system. Cumin spice is really good for you because it contains vitamins, minerals, and fiber that are good for your health. In fact, cumin is good to take if you have an iron deficiency, as a tablespoon of cumin seeds contains 22% of your daily iron needs. You can also get the health benefits of cumin by making warm cumin water. A warming cup of cumin tea can help to soothe a sore throat, promote good digestive health, and help to fight inflammation. In this article, you can find out about many scientific studies that have proven the many benefits of cumin. Cumin is a plant that belongs to the parsley family. Cumin seeds are dried before being ground into cumin powder or extracting the oil to make cumin essential oil. Cumin (Cuminum cyminum) comes from countries in the Middle East, the Mediterranean, India, and China. Cumin seed is used to add seasoning and flavor to many savory dishes. Cumin is called jeera in India and comino spice in Spanish. Cumin seeds look like small brown grains of rice that are approximately 5 mm in length. It is important not to confuse cumin seeds with black cumin seeds (Nigella sativa seeds). Black cumin seeds also have important health benefits. However, in this article, I will look at the therapeutic properties of white cumin seeds. You can use cumin in cooking to add a delicious flavor and aroma to your food. Grinding up toasted cumin seeds and adding them to your favorite dishes also enhances the nutritional value of your food. 6 grams of cumin seeds (approx. 1 tablespoon) also contains 0.6 g of fiber which is 3% of your daily recommended intake (RDI). One tablespoon of cumin seeds also contains 0.2 mg of manganese (10% RDI), 55 mg of calcium (6% RDI), and 22 mg of magnesium (5% RDI). Ground cumin also contains trace amounts of phosphorus, potassium, zinc, and copper. Cumin spice also has vitamins A, C, E, and B-group vitamins. Because there are so many beneficial minerals in cumin powder, you can even add some cumin to your favorite face mask for healthy-looking skin. Let’s look in more detail at why cumin powder (or jeera powder) can help to improve your health. Iranian scientists from the Shahid Sadoughi University of Medical Sciences included 88 women who were considered overweight or obese into their study. They randomly divided them into two groups. One group ate 3 grams of cumin powder daily, mixed into 5 grams of yogurt. The control group consumed yogurt too, but without any additions. Both groups received dietary advice and reduced their daily caloric intake by 500 calories. Different body measurements and parameters were taken before the study and after 3 months of dieting. Women who were eating cumin, lost 3 pounds (1.4 kilograms) more compared to those in the non-cumin group. More impressively, the cumin group members decreased body fat percentage by 14.64% which is almost triple the 4.91% fat loss posted by the control group. Apparently due to the addition of the fat-burning spice. The women in the treatment group also experienced reduced levels of fasting cholesterol, triglycerides (a type of fat associated with atherosclerosis, heart disease and diabetes) and LDL (bad) cholesterol, while their levels of HDL (good) cholesterol increased. Furthermore, the women who took cumin had larger reductions in body mass index and waist circumference. The authors of the study concluded that cumin powder can significantly boost the success of a weight reduction diet. The clinical trial showed that cumin supplements were as effective as the anti-obesity drug Orlistat 120 mg.
Find out how daily walking can help boost your weight-loss efforts and get rid of belly fat. Cumin is rich in antioxidants and phytosterols. Phytosterols are natural substances of plant origin that are similar to cholesterol in their structure and function. They inhibit the absorption of harmful cholesterol in the digestive tract, which could be the explanation for their weight-reducing effect. Previous clinical trials have shown that consumption of foods enriched with at least 0.8 grams of plant sterols or stanols lowers the levels of LDL cholesterol. 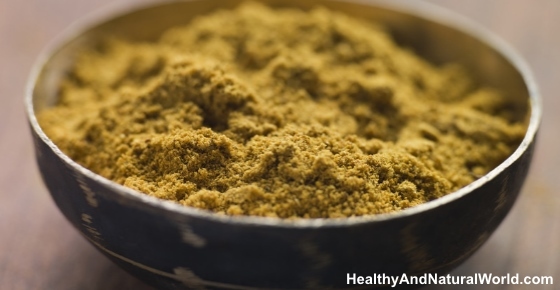 How to Consume Cumin for Weight Loss? 2. Use it when you make hummus or guacamole. 3. Make a cup of warming beverage by boiling cumin seeds in water and letting them steep for 10 minutes. 4. Sprinkle it over nuts or other healthy snacks. 5. Use it to spice your lentil soup. 6. Add it to plain brown rice to give it an exotic kick (you can also mix in dried apricots and almonds). If you suffer from type 2 diabetes, eat cumin as it has hypoglycemic properties that help to reduce high blood glucose levels. The rats experienced a reduction in hyperglycemia, or high blood sugar — a condition common in diabetics — and glucosuria, in which the urine contains too much glucose. Learn about other foods you can eat if you suffer from diabetes and want to control your blood glucose levels more efficiently. Cumin is excellent for your digestive health because it helps to stimulate digestive enzymes. Grind 10 grams of cumin seeds, 5 grams anise seeds, and 10 grams of fennel seeds. Put the cumin powder mixture in a cup and pour boiling water over, cover and leave for 20 minutes. Drink the warm cumin tea 30 minutes after your meal to get rid of flatulence. The spice cumin can be good for raising levels of iron in your body. Learn about the importance of taking vitamin C along with plant-based iron sources if you need to boost your iron levels naturally and how to choose the best iron supplement. One of the great reasons to consume ground cumin is that the spice can help you fight infections better. Find out what else you can do to boost your immune system. Taking cumin powder regularly can help to tackle the problem of high levels of cholesterol. Learn about an additional 10 natural ways to lower cholesterol and protect your heart. Another of the benefits of taking cumin that it contains antibacterial and antifungal properties. The powerful antimicrobials in cumin mean that cumin can be good for preventing some food-borne illnesses. Using more cumin powder in your cooking or taking cumin capsules can also help to reduce inflammation in your body. Find out about other foods you can add to your diet to help reduce inflammation. Cumin supplements may be good for you if you suffer from hypertension. Did you know that apple cider vinegar can also lower high blood pressure? The relaxant effect of cumin seed extracts can help to reduce the severity of coughing. Learn about other home remedies that help to treat a dry cough and may help you sleep better if you have asthma. Cumin seeds have a relaxant effect on your mind and can help to enhance your memory. Find out what other herbs and foods you can take if you want to improve your memory and boost your cognitive power. Because cumin is good for your mind and has a relaxant effect, taking cumin supplements could help deal with stress better. Taking concentrated cumin supplements can also help you sleep better as sleepless nights are often the result of stress. Learn about more natural remedies that can help you reduce stress levels. Extracts from cumin seeds are showing great potential in finding cures for cancer and preventing the spread of tumors. Of course, more research on the benefits of cumin in cancer treatment needs to be carried out. It is very easy to get a healthy dose of cumin every day by making your own delicious and aromatic cumin tea. Increasing your fluid intake with beverages containing antioxidants will not only help keep you hydrated, but will also detoxify your body. Put 1-2 teaspoons of cumin seeds in a pan. Heat the pan up and roast the cumin seeds on a low flame for 5-10 seconds to help activate the oils in the seeds. Pour 8 fl. oz. (250 ml) of cold water into the pan. Bring to the boil, cover, and turn the heat down to let the cumin tea infuse for 5 minutes. Strain into a cup, add a spoon of raw honey and enjoy your delicious cumin drink. Alternatively you can mix half a teaspoon of ground cumin with one cup of boiled water. Cover the container and let it steep for about five minutes. What Is the Recommended Daily Intake of Cumin? Are there any adverse effects of using cumin for its medicinal properties? Doctors say that cumin supplements are possibly safe when taking them in appropriate amounts for medical reasons.